Nicholas Wylde Click & Collect can only be used at www.nicholaswylde.com as a free of charge delivery service. These Click & Collect terms are in addition to our other standard terms and conditions. You can use a credit or debit card and payment must be made in full at the time of the online order. We will estimate in working days, (counting weekdays but excluding bank holidays) the time taken to deliver, but this will also depend on item and stock availability. A member of staff will contact you to establish an actual collection date as we proceed to your item being available for pickup. At collection time in store, for orders over £250 we will require photo-id and to see your payment card. The item can only be picked up by the person both placing the order and whose card has been used. We are not authorised to hand over the item to anyone else. You must also bring your confirmation email for verification purposes. If you collect your item from either of the shops you must inspect the item of jewellery to make sure you are happy with what you have purchased. 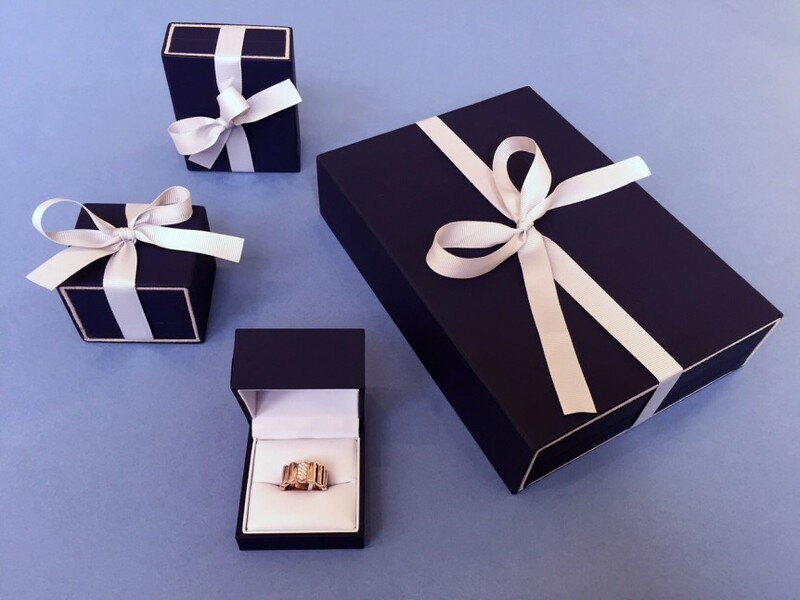 If you wish to return it within 30 days you will be entitled to an exchange or gift voucher if you are not 100% satisfied with the item of jewellery, providing the item is returned in as new condition. We cannot accept returns of items that have been engraved or personalised. The Click & Collect service can be refused or withdrawn at anytime at our discretion.